While meandering through an open house, you might pause to imagine your interior design vision executed in the space. But imagining a home that isn’t yours decked out in furnishings and accessories that you love isn’t always easy. In fact, 90% of consumers have difficulty visualizing a space, according to the experts at Climb Real Estate and VR home design startup roOomy. To help solve this dilemma, the companies partnered with the augmented reality team at Google’s Tango to create a new app called roOomy Reality. 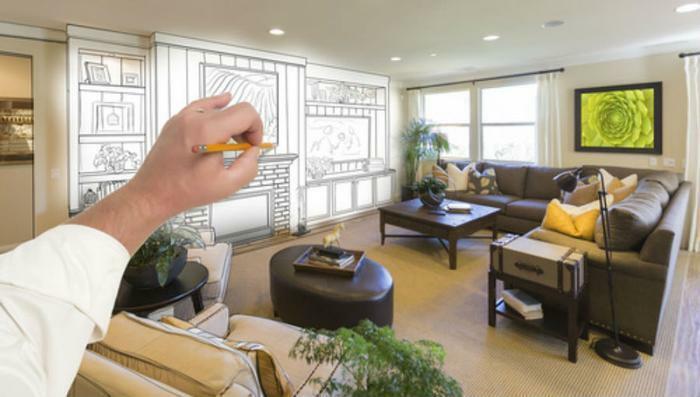 With roOomy Reality, consumers can virtually decorate various rooms, then take their designs to open houses and see what their vision would look like in different homes with the AR Google Tango camera. Users can bring their interior design vision to life by browsing roOomy’s catalog of 100,000 3D products from 35 home furnishing retailers -- and they can toggle between AR and VR views while doing so. In addition to helping buyers visualize various spaces, the app may also help real estate agents showcase their properties. Home staging can expedite the process of selling a property, but roOomy may take the benefits of home staging a step further by helping consumers picture a space filled with furnishings that suit their taste. RoOomy will initially be rolled out to a group of real estate agents at Climb Real Estate, but will be available in the Google Play Store later this month.